Feria II. Post Domin. I Quadrag. 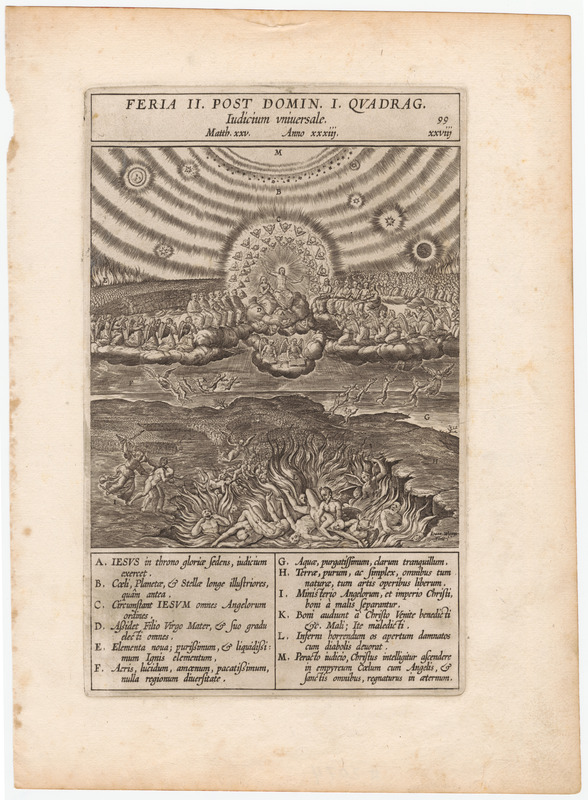 A 16th century illustration of the Gospels, "The Universal Judgment." A cosmological diagram above and the "Inferni horrendum" below.